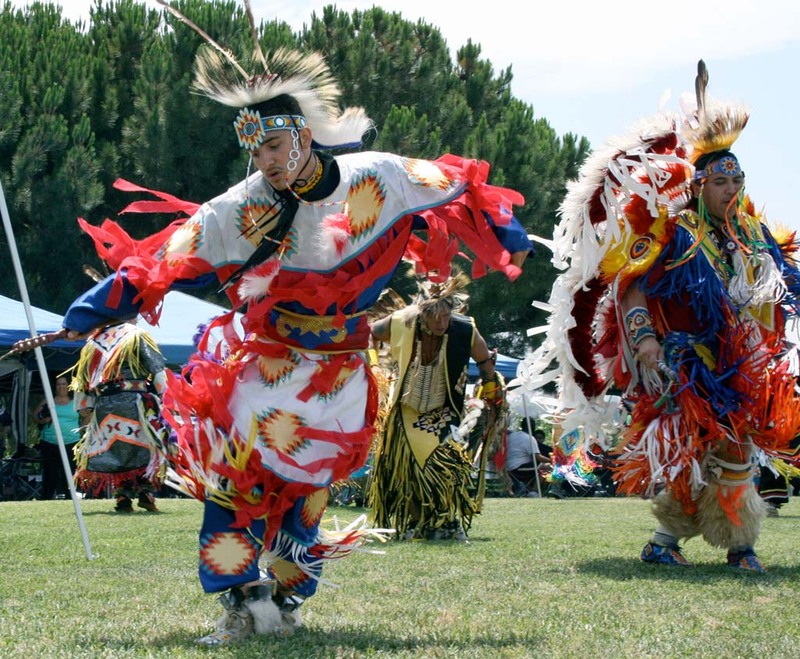 OCEANSIDE — The 18th annual San Luis Rey Mission Indian Inter-Tribal Powwow will be held at the mission June 14 and June 15. The Luiseño, Sac, Fox, Sisseton, Wahpeton Dakota, Cheyenne River Sioux, Cahuilla, Kumeyaay, Dine, Navajo, Seneca, and Tubatulabal tribes will be among those represented at the inter-tribal powwow. Highlights of the powwow include the entrance ceremony and dance competitions that take place on both days. The entrance ceremony invites all participants to promenade around the dance arena. Audience members are then invited to join in an inter-tribal dance. “During the opening ceremony all dancers dance into the arena,” Carmen Mojado, of the San Luis Rey band of Luiseño Mission Indians, said. “It’s my favorite part. Even the little kids and the toddlers (come into the arena). Dance competition categories range from the buckskin and grass dances, to the jingle and fancy shawl dances. Each dance is from a distinct part of the U.S. and is traditionally performed as an act of celebration or honor. Dancers start competing as soon as they can keep a beat. More than 100 dancers are expected to compete during the powwow. “It’s hard to estimate how many dancers,” Charlotte Herrera, council member of the San Luis Rey Mission Indian Foundation and event organizer, said. “We have quite a bit, and all different categories. Carmen and Steve Mojado, of the San Luis Rey band of Luiseño Mission Indians, describe some of the particulars of the dances. Other powwow highlights include drumming, a welcome dinner, food booths and hand-crafted vendor items. A crowd of 8,000 is expected to attend over the two-day event. The powwow will be held at Mission San Luis Rey. It begins at 9 a.m. both days and runs through 11 p.m. June 14, and until 6 p.m. June 15. Admission and parking are free.